You can have a lasting impact on UWM and future generations of students and faculty when you plan to make a gift to UWM as part of your long-term estate and financial plans. 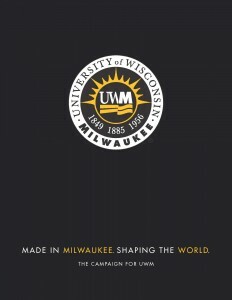 With your help, we can ensure the UWM programs that are important to you will continue after your lifetime. It's easier than you might think, and you've come to the right place to learn more. Explore the links below to find the charitable gift plan that best fits your goals for your family, finances, and philanthropy.